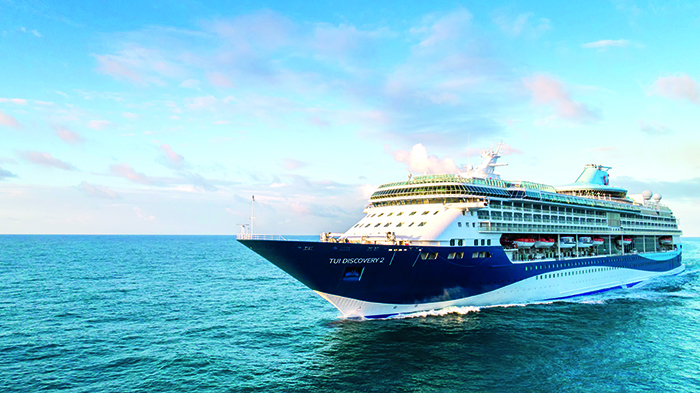 There’s no doubt the recent arrival of TUI Discovery 2 is another blast of fresh air that is breathing new life into the Thomson Cruises fleet. 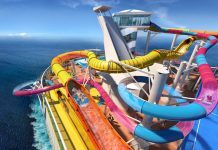 The gradual transformation of the tour operator-owned line started last summer when the former Royal Caribbean International ship, Splendour of the Seas, became its flagship and was renamed TUI Discovery at a glitzy celebration in Palma. Less than a year later, and there’s a sense of déjà vu – but in a good way – with a second former RCI vessel, Legend of the Seas, joining the Thomson ranks as its new flagship. Like its sister, the new TUI Discovery 2 comes with a host of fancy features, including more bars and restaurants, plus a climbing wall and on-deck movie screen, not found on Thomson’s more traditional, older vessels. Following a six-week multi-million-pound refit, the 1,830-passenger vessel has emerged as a virtual carbon copy of its stablemate, with a similar distinctive contemporary style. 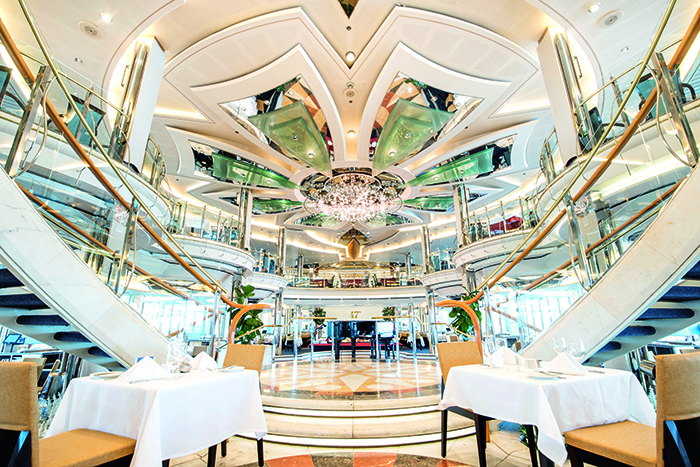 This is evident from the moment you walk on board into the light and airy atrium, with its glass elevators, sweeping marble staircase and glass and chrome glitz. However, there are a few differences and product enhancements throughout that help to give TUI Discovery 2 its own distinct persona. 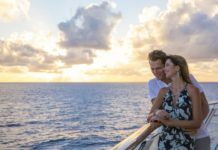 Features originally introduced on TUI Discovery have been fine-tuned and tweaked for TUI Discovery 2 following customer feedback, while other facilities make their debut. 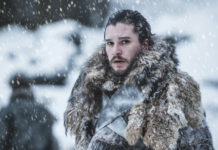 One of the most notable changes is the new Virtual Reality Experience, which transports passengers into a series of different virtual worlds and locations. 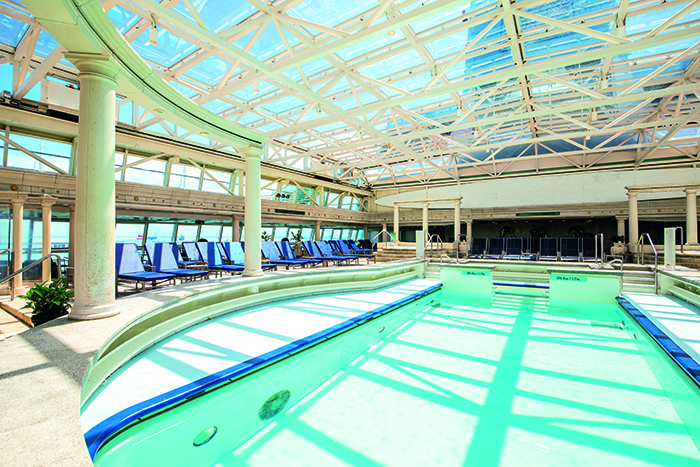 Based in two studio rooms on Deck 3, guests can choose between two fun activities. 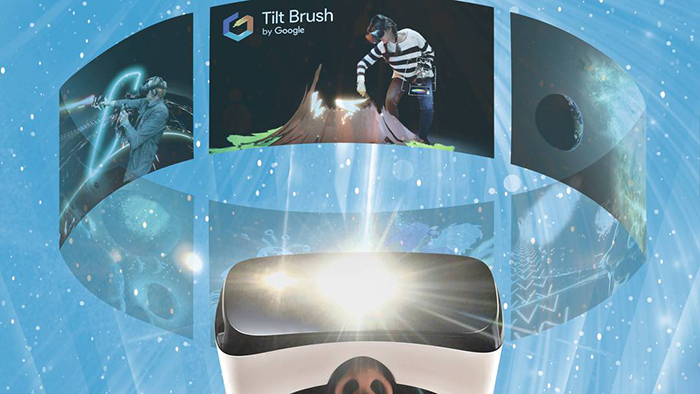 In one room, they don special headsets that transport them into virtual worlds. They could end up under the waves swimming with shoals of tropical fish or fighting space pirates in an inter-galactic battle. In another studio, they can pose in a photo booth loaded with a dozen fun backdrops to have their picture taken on a tropical beach, in the ocean or on the ship’s climbing wall. Once shots are taken, they are emailed directly to passengers. Both attractions are free of charge and replace the Break Out and Escape Room on TUI Discovery, where the usage fee has deterred guests from using it. Thomson has built on the electronic information boards and booking kiosks, which it introduced on TUI Discovery, with a new onboard app on TUI Discovery 2. While the new ship also has the screens and kiosks, these have been joined by Navigate, a downloadable app that enables passengers to monitor their onboard account and check entertainment schedules, among other things. 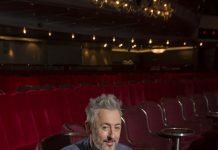 This new piece of techno wizardry comes into its own for booking extras such as spa treatments, excursions and speciality restaurants. Another bonus is that Navigate is free of charge as it is hosted on the ship’s own network so will open on any browser, which means passengers don’t have to download it or pay for wifi to access it. The ship’s 915 cabins have also undergone an overhaul and been given a more modern look and feel, helped by fresh new ensuite facilities. There are even six extra ocean view cabins, which have been added, with floor to ceiling windows. 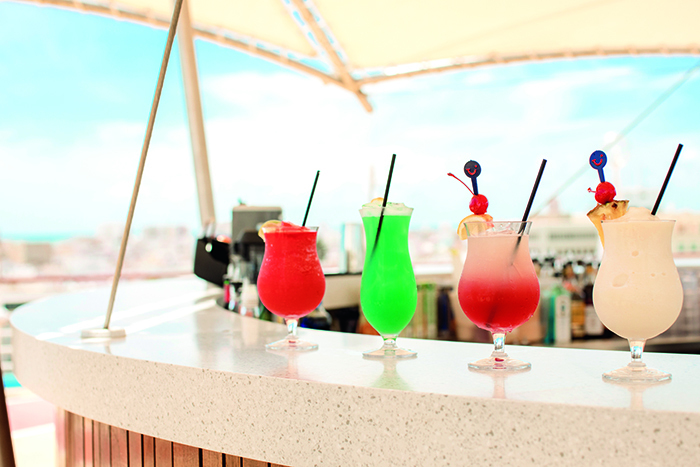 TUI Discovery 2 has been launched as an all-inclusive ship, with most drinks included in the price. Speciality Lavazza coffees, selected cocktails and premium spirits cost extra, though passengers can upgrade to a premium drinks package costing £70pp per week to cover these. TUI Discovery 2 also boasts an impressive line-up of dining venues with five complimentary restaurants and cafes and four speciality venues which command a fee. The light and airy main restaurant 47°, which takes its name fromthe latitude of the French shipyard where TUI Discovery 2 was built, stays much the same, serving traditional dishes with a modern twist, though the upstairs restaurant Gallery 47°, which was previously a dedicated Italian eaterie has been scaled back. 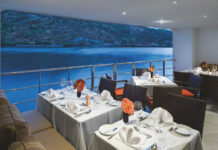 After failing to win enough hearts of passengers on TUI Discovery, the restaurant now occupies just half of the upstairs balcony area, with the remainder served by menus from 47° downstairs. 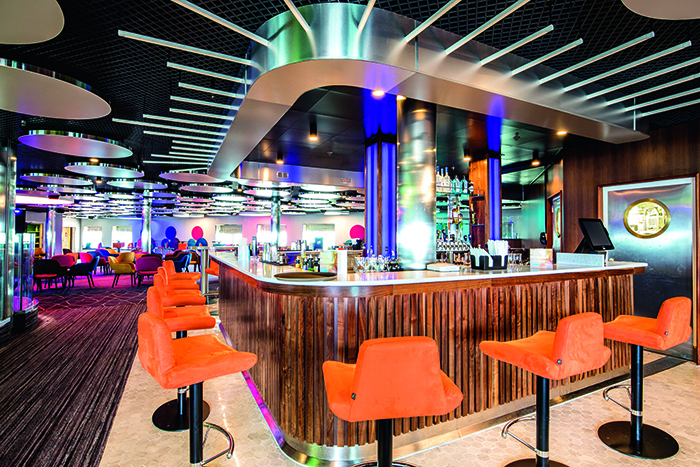 The Islands buffet restaurant remains the most dated dining area on the ship, though a welcome addition for beer and wine fans is the addition of a self-service dispenser where passengers can help themselves to a pint of Fosters or a glass of rose. The colourful casual al fresco Snack Shack, which serves hot and cold food “on the go” makes a reappearance after debuting on TUI Discovery last year, as does The Glass House with its selection of daytime snacks plus pizzas and tapas in the evenings. Leading the speciality restaurants is the delightful Kora La Asian restaurant, costing £19.95pp, which is worth booking for the views alone, though it’s hallmark duck and watermelon salad is the pick of the starters and made-to-order curries are deliciously tasty. The other headline venue is the Surf & Turf steakhouse, which for £24.95pp, offers an impressive selection of succulent steaks. 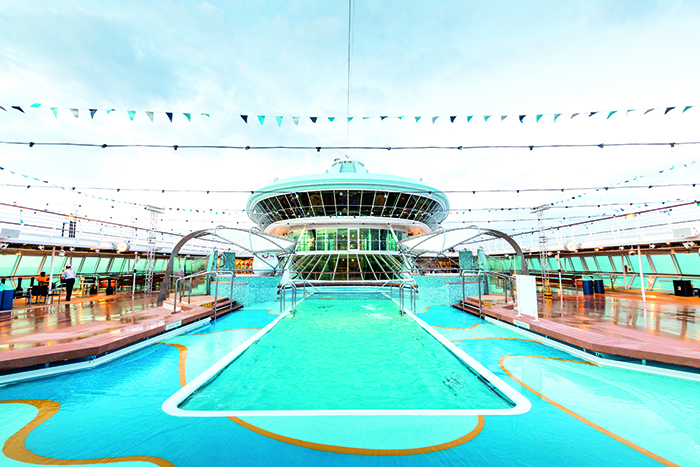 When it comes to entertainment, TUI Discovery 2 is no shrinking violet. As you’d expect, there’s a line-up of shows in the retro-style Broadway theatre, including an interesting and amusing stage version of The Full Monty, which goes down well with audiences. 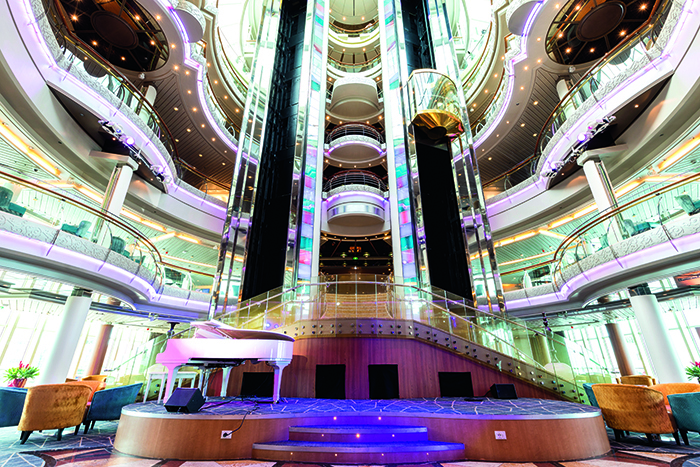 But the rocking, singing hub of this ship is the Live Room with its impressive bands and singers who know how to get the audience on their feet with medleys of Abba and Motown classics. Those looking for a more up-to-the-minute vibe can head up to the Bar Eleven nightclub, where the live DJ spins the latest sounds. During the day, the main pool deck, with its child and adult pools, is the centre of the action with films on the main movie screen plus a lively string of deck games and competitions. There’s more than enough to entertain all ages. Youngsters can let off steam in the kids clubs, leaving parents free to enjoy a round of mini golf, join a fitness class in the gym, indulge in a pampering in the Oceans Spa or simply chillout on the Veranda adult-only deck. Even Thomson’s off-beat animal statues make a return. On TUI Discovery, brightly-painted alpacas could be spotted outside The Coffee Port lounge and at different points around the ship. On TUI Discovery 2, it’s penguins that you need to look out for. 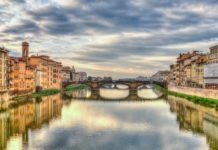 GETTING THERE: A one-week round-trip voyage from Malaga, departing 24 September 2017, starts at £1,037pp, with flights. 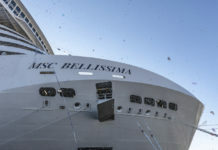 Calls include Marseilles, San Remo in Italy, Barcelona and Valencia (0871 230 2800; thomson.co.uk/cruise).